The Tevis Cup is no joke. The annual endurance horse race is known worldwide as one of the toughest, most gruelling horse races in existence. And this Saturday, a local mother and daughter are giving it their best shot. Jaylene Janzen and her mother Christy have headed down to California for the event, which features 100 miles of unforgiving terrain and hardly any rest points. Competitors have a limit of 24 hours to complete the race, a feat that many riders are unable to achieve. This year’s Santa Barbara 100-Mile Endurance Race saw a unique display of valiance in John Parke, a hero atop the back of steed Remington, whose deft riding through the Santa Ynez Mountains during the weekend of July 10 saved the lives of two race participants. Over 200 riders will traverse the Western States Trail from Tahoe to Auburn Aug. 1 for a 100-mile trek that’s considered the oldest endurance trail ride in the world —― the Tevis Cup. The event, now in its 60th year of exhibition, will provide a particularly historic moment for a Placer County family that sprouted its root on the Western States Trail. July 31st is the last day to nominate your worthy humans and horses for the 2015 Hall of Fame Member, Hall of Fame Equine, Pard'ners Award, Volunteer Service Award, and Ann Parr Trails Preservation Award. AERC Office, P.O. Box 6027, Auburn, CA 95604. Tomorrow, July 25, Shannon Weil will join host Connie Watson on the KAHI CORRAL Radio program, 8-9 AM Pacific time, for a tribute to Pat Fitzgerald, who passed away on July 14th. 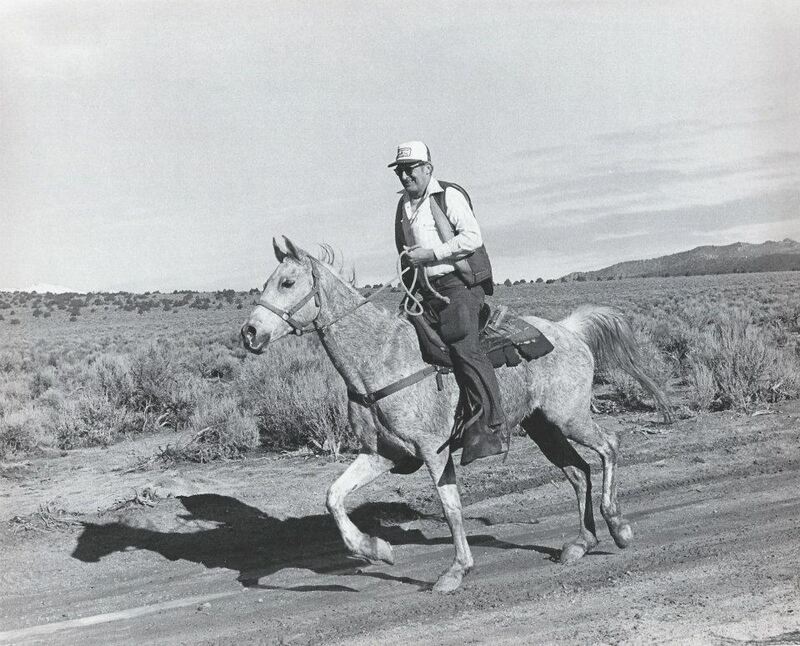 Pat was a pioneer of the sport of endurance riding. He completed the Tevis Cup 15 times, winning it twice, and he completed the Virginia City 100 13 times. With just over a week left till the 60th anniversary of the Tevis Cup on August 1, a glance at the current entry list numbering 205 shows an competitive, diverse list of entries. Nine previous Tevis Cup winners - five riders and four horses - will contest this year's event. Potato Richardson ('98, 02), Heather Reynolds (2003, '14), Jeremy Reynolds ('04, '07, '11), John Crandell ('06, '10), and Garrett Ford (2012), are the winning riders; and SMR Fifi d'Or ('05), Heraldic (06, '10), The Fury ('12), and French Open ('14) are the winning horses. Eleven previous Haggin Cup winners - 7 riders and 4 horses - will return. Heather Reynolds ('99, '03), Michele Roush ('05), John Crandell ('06, '07), Jeremy Reynolds ('04, '11), Melissa Ribley ('09), Garrett Ford ('10), and Junior Barrak Blakeley ('14) are the riders; Heraldic ('06), The Fury ('10), Farrabba ('12), and MCM Last Dance, ('14). are the horses. John Crandell calls his horse Heraldic, 17, "a freak of nature". He has overcome serious injury in his career to return to phenomenal winning success. After winning the "Triple Crown" of U.S. endurance in 2006 - the Old Dominion 100, Tevis, and the AERC National Championship 100 - he seriously injured his stifle and was off for two years. He came back in 2010 to win the "Triple Crown" yet again. After another setback and over three years off, the gelding came back again, winning this year's Old Dominion 100 again last month under Marcia Hefker-Miles. Marcia will be aboard him again in Tevis. Crandell will ride LR Bold Cody, who was second to Heraldic, and got Best Condition, in the Old Dominion. Another major comeback horse is Chris Martin's Monk. In the process of qualifying for the 2012 WEC in England, Monk set the North American record for the fastest time in the 100 mile distance, 6:53, in the Patriot's Day ride at Lake Almanor in July of 2011. At the Texas Trials in the spring of 2012, the now-13-year-old gelding tore a left front suspensory. Following treatment with PRP and stem cells, and a long rehab, Monk returned to the endurance trails after 3 years. With his regular rider Lindsay Graham, he finished a 35-miler and a 50 in March of this year, and with Linday's mother Susan, he finished another 25-mile ride. He's held up to strenuous training, and he's fit and ready to take on the Tevis course, a trail that's been on Team Monk's bucket list for a long time. Nine Rushcreek horses are set to contest the trail - Rushcreek: Hugh (age 21), Karl (19), Nerf (16), Nel (16), Oats (15), Rambler (12), Seth (11), Tootsie (10), and Brave (8). There are a number of 'oldies but goodies' in this year's ride. The oldest horse is PL Mercury, at 24, ridden by Lisa Downs. The Arabian gelding finished Tevis in '09 and '10. Whin Dance, 22, ridden by Carl Kimbler, finished Tevis in '06. Rushcreek Hugh, 20, ridden by Kelly Blue, finished Tevis in '04. 20-year-old Chipov Karahty, ridden by Sonja Willitts, attempted Tevis in 2011, but was pulled lame. There are 6 19-year-olds and 3 18-year-olds on the starting list. Three Tevis super-veteran riders return to the trail. Pat Chappell, with 20 Tevis buckles, is riding Razz Couger Sheen (they finished Tevis together in '07). Kathy Perry, with 22 buckles, is riding Presario S. Barbara White, with a record 33 buckles, is riding Djubilee (they finished together in '13 and '14). You'll see three Hall of Famers (Kathie Perry, Robert Ribley - Pard'ners Award, and Suzy Hayes - Pard'ners Award), three National Champion horses (Monk, Farrabba, Heraldic), five National Champion riders (Lindsay Graham, John Crandell, Heather Reynolds, Christoph Schork, and Robert Ribley), and several National Mileage Champions (Laurie Birch and Scudd Run, Karen Chaton, and Juniors Anya and Katya Levermann, and Claire Taylor). You'll see some Tevis first-timers, and you'll see some interesting breeds. Besides the ubiquitous Arabians, you'll see some mustangs, a couple of Tennessee Walking Horses and Akhal Tekes, a Standardbred, a Kentucky Mountain horse, a Spotted Saddle horse, and a mule. You can see the current entries here. Teviscup.org will soon have a page where you can follow your rider through the ride. Pat Fitzgerald, a pioneer of the sport of endurance riding, passed away on July 14. Pat Fitzgerald was an astoundingly unique human being who blazed his way into the early history of endurance riding, most remarkably aboard his famous horse, Quist. Even in his time, he was a tough-as-nails representative of a bygone time. He lived life on his own terms, and could have fit in somewhere in the American West anytime after 1845. I still chuckle about one of the pranks that Pat pulled on me. Way back in 1972, my girlfriend Terre and I were invited to join a ride from Cliff Lewis' stables in south Reno, up to Virginia City. Terre was going to ride my horse Rebel, and Pat Fitzgerald said he would bring an extra horse along for me. When I first got on Pat's horse, I had a terrible time getting it to go when and where I wanted it to go. He wasn't mean and didn't buck or bite, but he acted like he didn't know anything. Gradually, we worked it out on the way to Virginia City, and the trip back down to the Washoe Vally in the moonlight was fairly pleasant. Later, I found out that Pat was bragging and laughing about having loaned me a horse that had never before been ridden, and about how he got me to break and train a horse of his for free. Pat was telling people, "After Gordy got done with him, he fit right into my dude string." Pat was part of my life from the time I started riding the trails in 1971. We were both such unusual people. Pat was one of the people around me and encouraging me during my seminal run of the Western States Trail in 1974, and we continued to enjoy each other's company through the 1970s and into the early 1980s. Pat was just tough and strong and so much a man in every way. We all knew he had a powerful will to do whatever he wanted to do in life, but he still astounded us when he entered the Western States 100-Mile Run back about 1980, and finished in a decent time. That had a lot of people going "Wow!" in the endurance community. Pat was no spring chicken at the time. However, for my money, Pat Fitzgerald's most astounding performance was when a woman client at his stable in the Sierra complained to the SPCA about the way he was treating one of his horses. The woman showed up with another woman, an SPCA officer intent on citing Pat for animal cruelty. Pat asked if the complainant could identify the horse that he had supposedly mistreated. The lady pointed to the horse in question. Pat went to his office, came back with a Winchester 30-30, and shot the horse dead in the head. Then he said to the ladies, "Now, if you'd care to point out any other horses I've mistreated..." The ladies left terribly upset, but couldn't do anything about it because there was no animal cruelty involved. Pat said that was the last time he was seriously bothered by the SPCA. They came out at other times but were very polite and never threatened him with legal action again. Pat said he actually did the horse he shot a favor because it was a behavior-problem horse, and he had been planning to sell it for chicken feed. He said shooting it was a good investment in getting better treatment from the SPCA folks, and actually kinder to the misbehaving horse than going through the horror of a slaughterhouse experience. Pat viewed it as a win-win for all concerned. Pat and Quist have been immortalized on the buckles of the Nevada All-State Trail Riders Virginia City Ride, and on Australia's Quilty Cup Ride. No man ever rode a horse more perfectly than Pat Fitzgerald. I tip my glass to one of the most remarkable men I have ever known. Best wishes for a magnificent ongoing, Pat Fitzgerald! When Cindy Collins rode across the finish line of the 2015 Big Horn 100 endurance ride near Shell, Wyoming, a little before 2:00 AM on July 12, after 18 hours and 42 minutes in the saddle, she collapsed into the arms of Melanie Thompson, her crew, and cried. To be sure, part of it was from a bit of pain and fatigue, but it was mostly from the momentous jubilation of it all. It was Cindy's 10th completion of the legendary 100-mile endurance ride, a feat only 4 other riders have accomplished in the ride's long and storied history over 40 years. "Melanie pretty much dragged me crying off of my horse," Cindy said. "It was a very emotional ride, for a lot of reasons." Reaching 1000 Big Horn miles in the 100-mile distance has been a long term goal for this 60-year-old veteran endurance rider from Cody, Wyoming, who has logged nearly 10,000 AERC miles over 30 years of endurance riding. And she owes it all to the Big Horn ride. "Back in 1979, there was an ad in the Cody paper about a meeting in Graybull, Wyoming, about the Big Horn 100 mile horse ride," Cindy recalled. "My husband had just bought me an unbroke 3-year-old Arab gelding. I had heard that Arabs were good at endurance, but that was the extent of what I knew. So I went to that meeting, and I met Tom and Arlene Van Gelder, and many of the other people who started the Big Horn 100, and that was really my start of my lifelong love affair with endurance riding." Cindy's first two endurance rides were Limited Distance rides, in Mississippi and Alabama in 1980, due to the fact she and her husband had to move south for a couple of years. 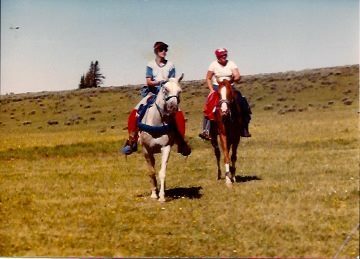 Back in Wyoming, Cindy did her first 50 - the Big Horn 50 - in 1981, beginning a decades-long journey over "the most beautiful trail in the world," with memorable people and horses and adventures along the way. She finished the Big Horn 100 for the first time in 1984 on a borrowed endurance horse owned by Tom Van Gelder. "I had a really good endurance horse, but he was really good at 50s. He wasn't a great 100 mile horse," Cindy said. "So Tom gave me a gelding that he owned that he felt he was too heavy to ride. "Actually, it is a great story. This was the year I finished with my leg in a cast. They had a calcutta betting on whether or not I would finish. My cast was cutting into my leg so badly I had blood running into my boot, so Tom Van Gelder and Richard Hickstein were using a hoof knife to modify the cast while my husband took care of my horse. My foot was broken in 5 places and I brought my stirrup into my ortho doc, and he built my cast for riding the Big Horn with my foot at the correct angle. I finished the ride, but of course, we destroyed that cast completely and I had to get another one the next week." GE Dandy ended up carrying Cindy through the Big Horn 100 in '84, '86, '87 and '88. The Collins bought him in 1987, after he had come to live with them in 1984. "By the way," Cindy added, "he only had one eye. "I really had the bug then!" She finished on FM Fad Serene in 1991, had an unplanned and unwanted break in endurance from 1993-1997, then finished in 1998 on Serya Robask, both borrowed horses. She finished it again in 2002 (for the 7th time) on her mare Sagebrush Nellie, "a really good, consistent horse." Cindy is sure that pair would have finished two more times but for those misadventures along the trail that sometimes happen. One year, they lost a stirrup in the first section of canyons. Despite 5 people helping to look for 20 minutes in the waist-high sagebrush, the stirrup was never found. "I'm not one of those people that's good enough to ride really well with one stirrup, so we were overtime when we got to the Vet Check." The other time was when she and riding companion Frank Solano caught up with a gal as they were coming to the canyons approaching dark. 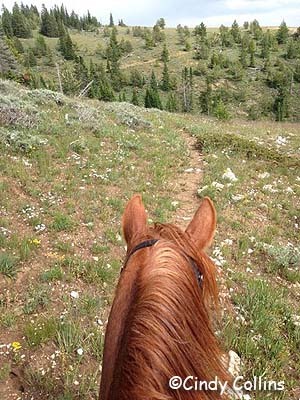 "She freaked out on the canyons, and she got off her horse and sat in the trail and wouldn't go. We just couldn't leave her there. We kind of dragged her and finally got her into the last vet check, but we were overtime." There was a long gap between Cindy's seventh Big Horn 100 finish in 2002, and her next one. She participated in very few rides (and not the Big Horn) from 2004-2008, due to either health problems, or not having the right horse. Luck wasn't with her when she returned to the Big Horn trail from 2009 to 2012, with results being a metabolic pull, two rider option pulls, and a completion on the 60 miler instead of the 100. "The hardest thing was that stretch from 2003-2012. I started thinking that I just wasn't a 100 mile rider any more. It was very depressing," she recalled. Her luck turned around in 2013. Cindy's last three Big Horn 100-mile completions in 2013, 2014, and 2015, (her 8th, 9th, and 10th finishes) have been aboard her outstanding mare AUR Sierra Wind, a granddaughter of the great Sierra Fadwah. And this year's completion would not have happened without her crew Melanie Thompson, her husband Keith, and her good friend Angie McGhee. Last December, Cindy fell and had to have major knee surgery. It healed pretty well, and she managed to get through 2 50-mile rides in May, so she figured she would be able to ride the Big Horn 100. Or, as she puts it, "I figured I could gut my way through it." Her knee did hurt. She did have to gut her way through the ride. But her knee wasn't the major problem. "If you hurt one thing at my age, there's all these repercussions on the rest of your body that you don't even realize, all these biomechanical things. About three years ago I had torn the peroneal tendon in my ankle, and nursed my way through that, and got it rehabbed. You know, it's there, but it was pretty good. I think something in the way I was holding my body during the ride - my leg, and my knee - must have aggravated that old tear in the ankle, and it started tearing again. And by about 60 miles, it was really, really starting to fray," she laughed, though it wasn't funny at the time. "The ankle was extremely painful, and it would literally collapse on me as I was posting, and it hurt really bad when it would collapse, because it would rip that tendon." Angie McGhee, from Wildwood, Georgia, riding the Big Horn 100 for the first time, aboard Suzanne Solis' horse ALA Thor, was riding with Cindy, but would not leave her behind. "I begged Angie to go on," Cindy said. "Both our horses easily could have finished two hours faster, absolutely no doubt. But Angie would not leave me. She stayed with me and she opened 25 gates, and she's about 5 foot tall and she was on a 15.2-hand horse." Angie confirms this. "The challenge there for me wasn't the size of the mountains. It was the number of gates and the size of Thor! Thor is a TRUE 15.2 hands, and I am 5 feet. I rode with Cindy who, in most people's books, should still have been on medical leave for knee/ankle problems and couldn't mount from the ground. I think there were something like 28 gates, and I opened 25 of them." She added with a grin, "It would have been very convenient though if she had been on Thor (she's tall!) and I had been on her little mare." Cindy said, "We even got down to the point where Angie would say, 'We're going to trot 10 steps and walk 20'. But we finished the ride in mid-pack, and our horses looked great, and they truly could have gone a lot faster. I have a really, really fantastic mare, truly. That made a huge amount of difference. She's pretty special." It's sometimes hard to put into words exactly what it is that keeps people coming back again and again to the challenging, arduous, isolated Big Horn ride, but Cindy has the words. "I've ridden a lot of places, and I just think it's the most beautiful trail that there is. I also think that there aren't many single loop 100 mile rides left, and I think that also makes it something really special. "Tevis has 500 volunteers. We have 20. On a good day! It is extremely remote, through the whole thing. It's very rugged, and it has very limited help, and I think it's more 'Old School' endurance. "I think our vets root so hard for the riders, and try so hard to try to get everyone through safely. Here you really feel like it's very personal, and they really want you to finish, and they really care about you. And I think it's a warmer feeling, because it is such a small group, that surely by the end of it, everybody knows everybody. "The Big Horn just has a tremendous amount of sentimental value to me, I guess. It's just something that I love. "It's been a loooong, looong goal! I do owe this finish to Angie. She was a very very good friend." It was like a scene from an old western, a lone rider on horseback came into town on a hot, sunny afternoon. The townsfolk stopped and stared as the woman rode by, wondering who she was and where she had come from. According to the rider, Bernice Ende, this is how things usually go until someone gets the courage, or a fellow horse person happens by and introduces themselves to her. “You ride in and nobody comes out. I feel like Clint Eastwood in one of his movies, riding into town with a low gaze and covered in dirt,” Ende said. Riding into Langdon was one of the exceptions to this occurrence. Not only was Ende approached almost immediately upon her arrival, but was offered a place for her and her horses to spend a few a days and rest up. “I was greeted with handshakes and smiles,” Ende stated. Ende refers to herself as “Lady Long Rider” and for good reason. The Minnesota native has been doing long distance riding for over a decade, with her first ride in 2005 from her residence in Trego, Montana down to Edgewood, New Mexico. “By the time I finished that first ride, I was so profoundly changed, I kept saying ‘How am I going to go back?’” Ende said. While some people spend years trying to find a passion or hobby, Garden City local Joyce Adams was lucky enough to discover a love for horses early in life, and has now dedicated her life to working with them. Adams founded the Miles of Smiles Therapeutic Riding Program in 1997, which blended Adam’s love for horses and teaching special needs children. The program offers horse riding lessons to special needs children in southwest Kansas. Breyer Animal Creations, makers of the world’s most realistic model horses will hold its 26th annual festival for horse lovers and model horse collectors at the Kentucky Horse Park in Lexington, starting today through Sunday. This fun, family-friendly festival celebrates the world of horses and especially the real horses that inspire the Breyer models. Breyer marks its 65th anniversary this year and the iconic toy company’s biggest fan festival, BreyerFest, will bring more than 10,000 horse lovers and 200 guest horses from around the world to the Kentucky Horse Park. BreyerFest’s theme this year is Vive La France, and Simba du Pont de Tournay, a rare French Ardennais, one of only 15 in the U.S., is this year’s Celebration Horse. Simba, a red roan stallion weighing approximately 1700 lbs., is owned by Joyce and Gene Concklin of Florida. A limited edition collectible Breyer model of Simba is included with every three-day ticket purchase to BreyerFest! New to BreyerFest this year will be the exciting sport of Horseball. Horseball is fast-paced team sport that combines aspects of polo, basketball and quidditch! Presented by the American Horseball Association in cooperation with the International Horseball Federation, top international players from France, Spain, Portugal and Canada will present an exciting demonstration of horseball each day. Kelsey Russell of Williston, Fla., won the individual competition of the North American Young Rider Endurance Championship aboard My Wild Irish Gold on Thursday with a time of 5:43:56. Hanna Weightman (Shamong, N.J.) took the Individual Silver medal with Syrocco Rabia finishing in a time of 5:46:07, and Hope Misner (Webster City, Iowa) earned Bronze with GDE Sweete Legacy with a time of 5:52:03. Russell rode for Team USA Southeast, Weightman for USA Northeast, and Misner for USA Central. “I didn’t think she was going to stop,” said a grinning Russell, 19, after she dismounted. Fourteen riders started the 120 km (75-mile) 4* course at 6:30 a.m. in crisp weather and a soupy mist that made it challenging to see at a distance. By noon, however, the sun was shining brightly, and the air was a hot, heavy blanket of Kentucky humidity. The first horse crossed the finish line shortly after 3:00 p.m.
Because of torrential rains earlier in the week and for the safety of the horses, portions of the course were rerouted the previous day. The entire race (five loops) took place on the 1,200-acre Kentucky Horse Park grounds instead of crossing adjacent private properties, as has done previously and was planned this year. After this race, Russell has finished 13 of 14 starts, placing within the top five in each, including the 2013 FEI World Endurance Championship for Juniors and Young Riders. She is starting her sophomore year in college as a business major and plans to become a veterinarian. The endurance medals ceremony will take place on Friday afternoon along with the announcement and presentation of the best-conditioned horse award. Hannah Pruss, riding Stuart, and Suzanne Ford Huff, riding SD Expressa, tied for first place in the Big Horn 100 near Shell, Wyoming on July 11, in a ride time of 13:35. Pruss finished second in 2013 and first in 2014 riding Krusador. Huff won the Big Horn in 2006 aboard Chase The Wind AH. SD Expressa won this year's Best Condition award. 34 riders started and 26 completed the 100-mile distance. 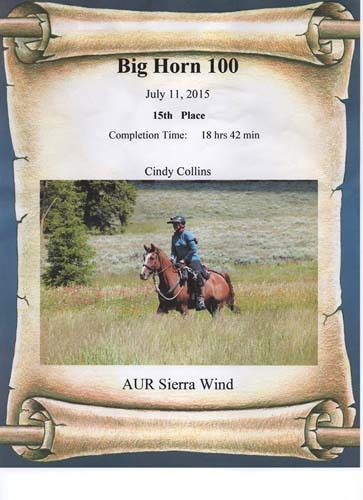 Cindy Collins, finishing 15th on AUR Sierra Wind, became only the fourth rider to earn her 10th Big Horn buckle. She exhibited human endurance and fortitude, persevering through some major leg pain during the last half of the ride. Tom Noll, earning his 6th Big Horn buckle by finishing 23rd on Rocky, also was awarded the "In the Spirit of Endurance" award in honor of Marirose Six. "Last year, I rode with Marirose as we came off the mountain and Marirose helped me finish with my big red mustang," Noll stated. "This year, I was with the wild Okies as we descended on a night black as coal. We rode the final miles through the shale badlands in silence. Many times, I caught a fleeting glimpse of a horse and rider silhouette in the darkness. The night was so black and the figure was so formless that I was never sure if it was even real. Perhaps it was the shadow of Marirose, just out of reach. "I am honored and deeply humbled to receive this award. I have been fortunate to share the Big Horn trail with some genuine characters -- riders, horses, and mules. I am a lucky man." The Big Horn 100 is a tough ride, but a beautiful and near-sacred one to many riders who return year after year. Noll summed it up: "100 miles, one day, tough trail, tough horses, and tough riders. There are no other rides like Big Horn which is why I keep coming back. The Big Horn 100 exerts a very strong pull on my soul." With 2 weeks and 1 day left till the 60th running of the Tevis Cup on August 1, 2015, over 200 participants have entered the ride. The maximum number of entries allowed is 220. If you have submitted an entry and you know you are not riding this year, please notify the office right away so they may know how many open spots remain. If you would like to ride this year and do not have an entry in, please send it in ASAP so they can have an accurate list of entries. Tevis entry form is here. See the current rider list here. SANTA CRUZ >> It’s probably a good thing it all happened so suddenly. I didn’t have time to second-guess my decision or make excuses for why I couldn’t do it. My friend Steve Shaw contacted me a week before the Fireworks Endurance Ride, a horse “race” through a series of Santa Cruz County parks, and asked if I was interested in riding his horse in it. I gave him a tentative yes on Monday. On Wednesday, another friend, Don Roth, met me at Henry Cowell State Park to make sure I could still ride. By Saturday, I was literally back in the saddle. It had been more than a year and a half since I’d climbed onto a horse’s back. My last ride had been a 50 miler in December 2013, when I was three months pregnant with my now 13-month-old daughter. It feels like a gross understatement to say a lot has happened since then. My priorities, my body, my perspective — my entire life has been turned upside down. 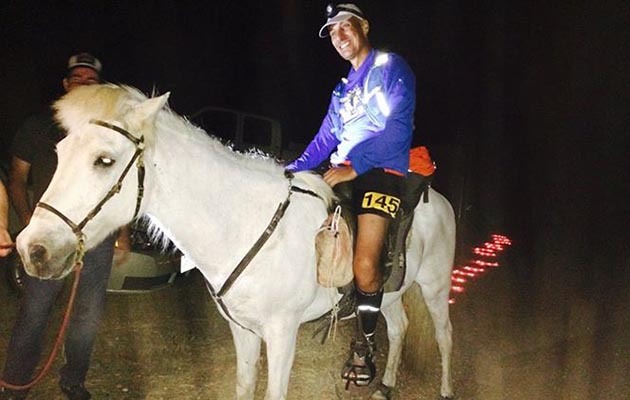 A horse who is a legend in US endurance, is in the news again after rescuing two distressed runners during the Santa Barbara 100-mile marathon earlier this month. Remington, a 27-year-old 13.3hh Icelandic and his owner John Parke have annually patrolled the last 30 miles of the Santa Barbara 100-mile marathon through remote and rocky parts of the Santa Ynez mountains, looking for lost athletes, without major incident. Yet this year Remington had to rescue two casualties during the long night of Saturday 11 July. When Janet Tipton says, "I am so proud of this little mare!" she's got good reason. 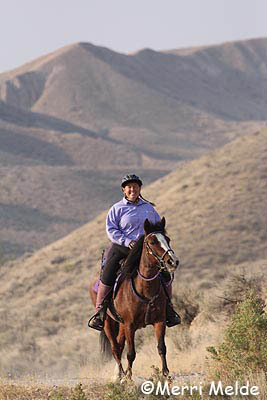 After becoming AERC's highest-mileage Limited Distance horse in October 2013 at the Moab Canyons ride in Utah with 3985 miles, Lady Jasmine set a new mileage standard July 12 at New Mexico's Fort Stanton multi-day endurance ride. After completing Day 1's 35 miler, the 13.2-hand, 19-year-old mustang mare passed 5000 LD miles. Tipton, from Erda, Utah, has owned "Ladybug" since 1999, when she adopted her as a 3-year-old from the Logan, Utah, wild horse adoption, although Tipton will say that Ladybug chose her, instead of the other way around. Besides endurance, Tipton and her multi-talented mare have also found the time to participate in Extreme Cowboy Challenges, dressage, drill teams, and parades, and - since it's inevitable when you live in the West - moving cows. Ladybug's record currently stand at 193 completions in 195 starts (the pulls were a rider option, and an overtime), 25 Best Condition awards, and 5065 miles. But the dynamic duo isn't resting on their laurels. They are currently competing in the last 3 days of the 6-day Fort Stanton ride. You can reach your Senator through the Capitol Switchboard at 202-225-3121. Once connected to the Senator's office, ask to speak to the staff person who handles public lands issues. 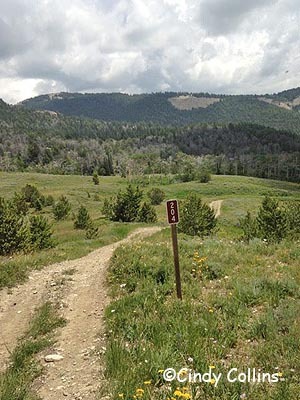 • You support the National Forest Service Trail Stewardship Act of 2015 (S.1110) and it is important to trail riders and all recreational trail users in your state. • The Forest Service has deferred trail maintenance needs that exceed half-billion dollars. This maintenance backlog is causing access and safety issues for equestrians and all trail users on national forests. • S. 1110 will direct the Forest Service to develop a strategy to more effectively utilize volunteers and partners to assist in maintaining national forest trails and identify and prioritize specific areas with the greatest need for trail maintenance in the national forest system. • This bill will help improve trail maintenance without adding to the federal budget deficit. • The bill is bi-partisan and supported by a wide range of recreational users of public land. • Please support and co-sponsor this important legislation. 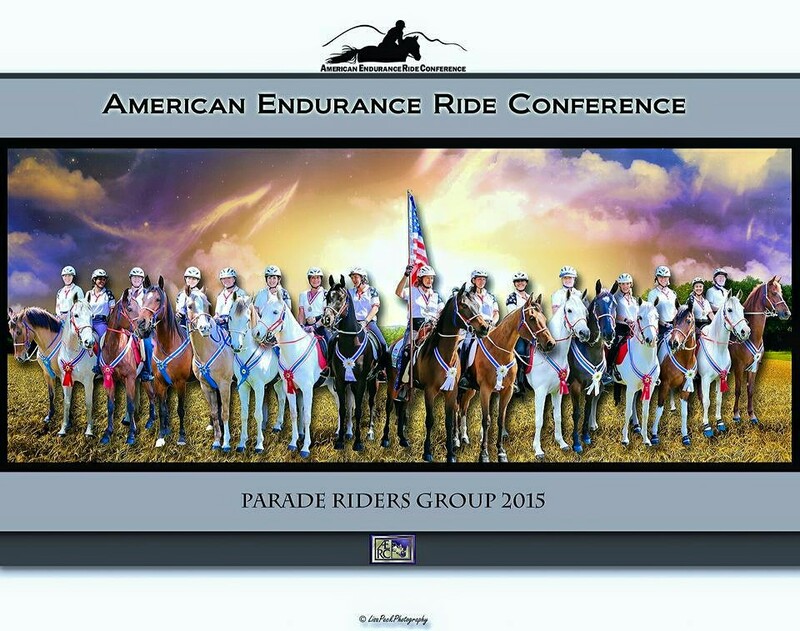 AUBURN, California – July 13, 2015 – The American Endurance Ride Conference (AERC) has signed an agreement to become the Title Sponsor of the Horse Radio Network’s popular monthly Horses in the Morning “Endurance Day” radio show that airs online from 9:00-10:30 a.m. EDT on the second Tuesday of each month. The ‘Endurance Day’ show is hosted by accomplished endurance rider and AERC member, Karen Chaton, and is among the most popular on Horses in the Morning, drawing tens of thousands of listeners for each episode. This month’s show, which airs on Tuesday, July 14, will focus on the iconic 100-mile, one-day Western States Trail Ride (commonly known as the Tevis Cup) which begins on August 1 at 5:15 a.m. and features 200 riders representing 24 U.S. states and 10 countries. Now in its 60th year, the Tevis Cup is a highlight of the endurance ride calendar and is considered by many to be the pinnacle of achievement in endurance riding here in the United States. Part of the Horse Radio Network, the Horses in the Morning radio show/podcast is the leading morning radio show for horse lovers worldwide with listeners in more than 90 countries. Listeners can access Horse Radio Network shows online at www.horseradionetwork.com or on their phones or tablets by downloading the free app (IOS or Android)—just search for Horse Radio Network. BreyerFest® Celebrates Vive La France! (Pequannock, NJ – July 10, 2015) – Breyer Animal Creations, makers of the world’s most realistic and beautiful model horses launches its 26th annual festival for horse lovers and model horse collectors July 17-19, 2015 at the Kentucky Horse Park in Lexington, KY. This fun, family-friendly festival celebrates the world of horses and especially, the real horses that inspire the Breyer models! Breyer marks its 65th anniversary this year and the iconic toy company’s biggest fan festival, BreyerFest, will bring more than 10,000 horse lovers and 200 guest horses from around the world to Lexington! BreyerFest’s theme this year is Vive La France and Simba du Pont de Tournay, a rare French Ardennais, one of only 15 in the U.S., is this year’s Celebration Horse. Simba, a red roan stallion weighing approximately 1700 lbs., is owned by Joyce and Gene Concklin of Florida. A limited edition collectible Breyer model of Simba is included with every three-day ticket purchase to BreyerFest! New to BreyerFest this year will be the exciting sport of Horseball. Horseball is fast-paced team sport that combines aspects of polo, basketball and quidditch! Presented by the American Horseball Association in cooperation with the International Horseball Federation, top international players from France, Spain, Portugal and Canada will present an exciting demonstration of horseball each day! Other special equine guests include: Wismer Clydesdales six-horse mare hitch from Canada; 2011 Endurance Horse of the Year OT Sara Moniet RSI and owner/rider Crockett Dumas from Utah; Quarter Pony Supreme Champions Smokin Doubledutch from Oregon and Pinto Champion Chocolate Chip Kisses from Minnesota; undefeated National Arabian Hunter Champion Oration from New Jersey; and Appaloosa Heritage and World Champion Lil Ricky Rocker from Ohio. On Saturday evening, BreyerFest will host Dreaming of Horses at the Alltech Arena, a special evening entertainment created by Yvonne Barteau of KYB Dressage starring Yvonne, the KYB Dressage troupe and Dan James of Double Dan Horsemanship. Lights, music and horses will illuminate this special event. Admission is included with all three-day tickets and single day tickets holders can upgrade their ticket to attend. giving demos and teaching kids their urban gymnastics, while Splash Dogs will again host its Eastern Regional Championships at BreyerFest. In addition, America’s top young riders will be competing in the North American Young Riders Championships in Dressage, Show Jumping, Endurance and Eventing that weekend. The Tonka® Fun Zone will feature a playground dedicated to Tonka toys! Other activities include meet and greets with our special equine guests, free pony rides and an exotic petting zoo, 65-booth Trade Fair, a mega Breyer Store filled with models created especially for BreyerFest, a Craft and Activity Center with free crafts and face painting, model horse displays and shows, workshops and free seminars. Tickets include access to activities at the Kentucky Horse Park too! BreyerFest takes place Rain or Shine. Save $3 per ticket by pre-purchasing now through Tues. July 14 at www.BreyerHorses.com. Tickets are available on-site at the BreyerFest Ticket Booth. Call 800-413-3348. For horse-crazy girls, there are only two kinds of horses: real horses and Breyer model horses. The iconic Breyer brand, a division of Reeves International, was founded in 1950, and is the leader in creating the world’s most authentic and realistic model horses for play and collecting. These hand-painted, collectible model horses and animals have a worldwide following, thanks to the incredible sculptures that form the foundation of the line. Today, Breyer has expanded its line to include play and craft activity sets and horsey accessories for its younger fans and its collector lines to include resins, crystal and porcelain. To see the complete line of Breyer horses, find a retailer near you, and to learn more about Breyer events and the model horse hobby, visit us at breyerhorses.com! "It's official!" announced Lisa Schneider, Vice President of AERC. "The AERC Parade Group has been accepted into the 2016 Rose Parade! This group of 25 riders, headed up by AERC member Gayle Pena, will be marching in the Rose Parade on New Year's Day. They had to go through a rigorous qualification process and submit applications, photos, and list their parade credentials." The AERC Parade Group is one of approximately 20 elite equestrian units, chosen from applicants around the country, who will participate. Crysta Turnage, from Spanish Springs, Nevada, will be one of the participants in the famed Pasadena, California parade, aboard her Arabian, Dream Makker. "Riders are required to be an AERC member, and have parade experience on their horse," Turnage explained. "The 25 riders in the group include our 'Living Legends' of Connie Creech, Dave Rabe, John Parke, Dave Nicholson, and Karen Chaton. Gayle Pena is the main impetus behind the group and the one coordinating everything." Lisa Peck is the group's official photographer, and she created a video fitting the theme "Find Your Park- Ride Your Adventure" as part of their Rose Parade application. Riders were required to purchase all their own uniform gear, including custom tack from The Distance Depot and tights from Crazy Legs Tights. "All riders had to submit a full color photograph of themselves and their horse, along with a personal information sheet to the Group Marshal (Gayle Pena)," Turnage said. "These items were then coordinated into a custom group binder by Gayle and Lisa Peck, along with several videos including the group's Equestfest drill team performance and past parade appearances. This full package was submitted to the Rose Parade Committee for the equestrian team selection process. "There are two 'satellite' groups for now," Crysta added. "One in southern California, headed up by Gayle, and one here in northern Nevada, which Karen Chaton coordinates. "We'd love to see this take off around the country by other regions." According to Tournamentofroses.com, "Find Your Adventure" is the theme of the 127th Rose Parade presented by Honda. The theme grew out of a unique partnership between the Pasadena Tournament of Roses and the U.S. National Park Service. The 2016 Rose Parade will help shine light on the centennial celebration of our nation’s national parks. Both the Tournament of Roses and the National Park Service aim to preserve history, connect people through real-life experiences and engage the public in new adventures. As proponents of the American spirit, we encourage you to find beauty in the landscape that builds the backdrop of your lives. From coast-to-coast, we will add your stories of adventure to our collection while protecting our unique heritage and looking to the future. Every person’s adventure is different – you may find yours at the top of a mountain while mine is in my backyard; your adventure may be extraordinary while mine is familiar. Our hope for the New Year is that however you define it, you will find your adventure and enrich your life. "We wish them all the best and love the international exposure this will garner for AERC and endurance riding!" Lisa Schneider said. Back Country Horsemen of America protects our right to ride horses on public lands, cherishing America’s heritage of traveling this landscape as our ancestors did. That’s not just a conviction; it’s a way of life. For over four decades, Back Country Horsemen have volunteered their time, skill, and resources towards keeping trails open to horse use and promoting responsible recreation. In 2014, Back Country Horsemen from coast to coast donated $14.4 million in volunteer value to this cause. The nearly 14,000 BCHA members cleared trails, restored trail treads, built bridges, educated youth and adults in horse use, spread the word about responsible Leave No Trace habits, attended public lands planning meetings, spoke with legislators, held food drives, cleaned up litter, and so much more. BCHA Executive Director Jim McGarvey is leading by example. When his two year term as Chairman ended in April 2015, he announced his commitment to fill the vacant position of executive director on a volunteer basis for up to two years. During that time, he aims to raise the funds required to cover three years of salary and travel expenses for a professional executive director. In May, the Iron Mountain Chapter and the Eastern Divide Chapter of Back Country Horsemen of Virginia teamed up for a National Trails Day project in the east­ern end of the Mount Rogers National Recreation Area. The work party included 14 members on foot and four on horseback with one pack horse. They were joined by US Forest Service Ranger Stephen Hmur­ciak and two American Endurance Ride Conference certified trail masters to advise in the best way to solve the problems on the trail. Located in southwest Virginia, the Mount Rogers National Recreation Area encompasses 200,000 acres of National Forest land, including four Congressionally designated wilderness areas; the Virginia Creeper Trail; the 5000 acre Crest Zone featuring elevations over 4,000 feet, large rock formations, and a mixture of bald mountain summits and spruce-fir forests; and a herd of wild, free-ranging ponies. In five hours, the group widened and repaired several hundred yards of tread on the Virginia Highlands Horse Trail and reworked a washed out switchback. They cut a tree to make cribbing and filled it with rock and soil to form a sturdy, wider trail bed. They also cleared deadfall from six miles of trail. Their work, which was done by hand using trail tools and a chain saw, made this treacherous area much safer. The Tri-Lakes Chapter of Show Me Missouri Back Country Horsemen participated in another successful collaboration. They routinely carry trash bags on the trail and pick up garbage left by other users. The group recently approached the PepsiCo plant in Springfield to help fund the purchase of mesh bags that are easily carried on horseback. PepsiCo and SMMBCH pur­chased 5,000 reusable mesh bags print­ed with the Pepsi and SMMBCH logos, along with trail ethics statements. Show Me Missouri Back Country Horsemen distributed the mesh bags to its chapters across the state to be used in trail maintenance. The bags are proving not only to be very useful and practical but also good for spread­ing the message of Back Country Horsemen val­ues and purposes. Bags were giv­en out at SMMBCH’s Leave No Trace display tent at the Missouri State Fair, and will also be made available at trailheads, saddle clubs, and to any interested equestrian individual or group. This beneficial project was made possible by generous funding from PepsiCo and a grant from the Back Country Horsemen of America Education Foun­dation. 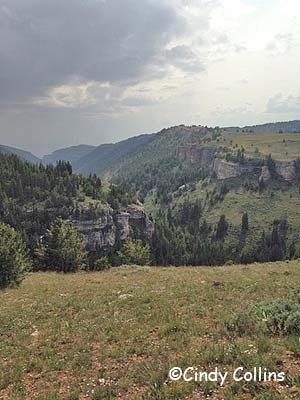 Show Me Missouri Back Country Horsemen also works regularly with five differ­ent federal and state public land man­agement agencies to maintain and protect Missouri’s wild lands. The new Ride Kansas Back Country Horsemen expresses the same spirit of volunteerism BCHers are known for. Every autumn, they organize a benefit trail ride to raise money for improving the campground at Rockhaven Horse Park on the south shore of Clinton Lake in northeast Kansas. With the money raised, Ride Kansas Back Country Horsemen have built over 30 steel pipe pens at the camping sites to go with the 18 electri­cal sites, 32 primitive sites, 14 centrally located pens, a shower house, and a shelter house. Along with 70 miles of wooded and scenic trails, these amenities make Clinton Lake one of the best trail riding destinations in Kansas. BCHA believes our nation’s public lands are a precious resource to be preserved and enjoyed. With federal, state, and local budgets shrinking, it’s our responsibility as citizens to pick up the slack. When we accomplish the required maintenance, all users can continue to recreate in these beautiful areas. Back Country Horsemen of America highly values our right to ride horses on these public lands, despite the fact that every day more of them are being designated “No Horses.” Without a unified voice such as that of Back Country Horsemen of America, our heritage of equine use and our right to ride on public lands is in serious jeopardy. You still have time to get the early bird rate for the 60th running of the Tevis Cup on August 1 if you get in your Tevis entry on or before July 6. The traditional ride entry fee, which includes drug testing, Robie Park camping, and 1 ticket to the Sunday Awards Banquet is $400 before July 6. On or after July 7, the entry fee is $500. The specially designed 60th anniversary Tevis finish award buckle is $160 when reserved pre-ride and is nonrefundable. Buckles are $250 when purchased post ride. The Legacy Buckle program will not be offered this year due to low inventory of donated buckles from riders who have previously completed the ride. I’ve done a lot of riding in my life. I’ve gone on 30-mile and 50-mile endurance rides, and competed in state horsemanship contests. I’ve ridden many different horses—a total of 17 so far, which may not seem like a lot unless you consider that I’m only 12 years old. I think all the time I’ve spent in the saddle and on different horses and participating in various programs has helped me become a better rider. Plus it’s been great fun—I highly recommend it. I began attending American Endurance Ride Conference events at the age of 3. I didn’t ride then, of course. My mom rode and I stayed in camp with my dad. At 6, I participated in my first AERC 10-mile fun ride. It was in the Redwood National Park near Orick, along California’s far northern coast. I rode Patches, my then 10-year-old Shetland Pony mare. Actually, we called her “Kung Fu Pony” because she’d buck and kick if other horses came too near. Sometimes I’d end up in front of the saddle horn. Then my mom, also on the ride, would trot up, lift me by the back of my shirt, and plunk me back in the seat. I learned I prefer to ride in saddles without horns! I did my first AERC 30-mile ride a few weeks later, the Cuneo Creek ride in Humboldt Redwoods State Park. After a couple of years, I moved up to riding my mom’s Morgan/Arabian endurance horse, Chief, then 20. A real “steady-Eddie,” Chief took care of me and was actually easier to ride than Patches.